Every year I ask my husband what he wants for Father's Day, and every year he says the same thing: Nothing. He's so hard to shop for because if he wants something, he buys it for himself. One thing he doesn't splurge on for himself is cologne or personal care items. Unlike me with a closet full of spare bottles, he doesn't buy more until he's completely out. So this year, I decided to put together a basket of grooming items for him so he won't run out. He was running low on cologne, so I headed to Macy's to see what they had in the men's fragrances. They had a Nautica Voyage gift set at a great price with two bottles of cologne, aftershave, and a shower gel. The employees were wonderful and helped me pick out the perfect scent for him, and I love that it has a nautical theme. My husband loves boating, and he regularly works on boats for his job. He's also the anchor in our lives. He's the one who keeps our family working as a family unit, so I really loved the symbolism of the gift as well as the scent. Speaking of the scent, have you all smelled this yet? It has top notes of crisp apple and green leaf. Then you smell the woodsy amber, musk, and damp moss. If you know my husband, then you know that this is perfect for him! He's an outdoorsman all the way, so the unique combination of scents really shows his connection to nature and water. Friends, run to Macy's to check out this scent and this incredible deal on the boxed set. If you don't have a Macy's nearby, they also sell it online. My husband is a mechanic, so he gets pretty dirty. He's tried some commercial soaps and scrubs, but they don't work or they dry out his hands. I came up with this recipe especially for him. I also added a bar of my handmade shaving soap and a nick stick. The scrub I made is a result of some trial and error, but I am really happy with the final recipe. 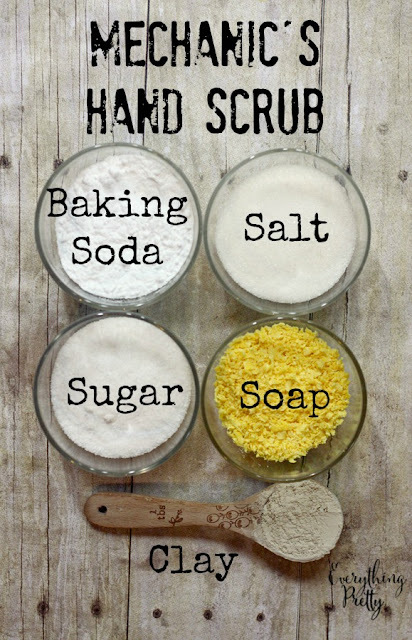 The soap removes dirt and stains, the sugar and salt scrub, and the baking soda dissolves grease. *Metal counteracts the clay's benefits, so be sure to use a plastic measuring spoon, wood spoon, and glass bowl. 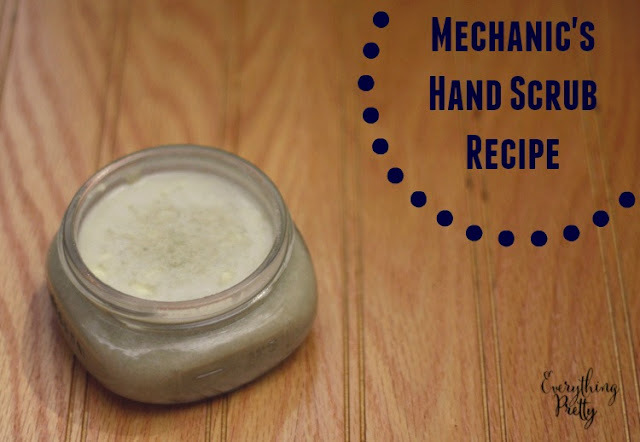 Combine grated soap and water in a small sauce pan. Heat over medium heat just until the soap is melted. Remove from burner and let cool completely. I put mine in the fridge because it is very important that the soap is completely cooled. Combine the dry ingredients and essential oil and stir well with a wooden spoon. Slowly add the cooled soap mixture to the dry ingredients and stir well. I did not use the full cup of melted soap; I used about 1/3 of a cup. You can add as much as you'd like until you get the consistency you want. Save the remainder of the soap for hand washing, scrubbing stains, or even to clean your house. As you can see, I made mine really thick. I wanted it to be a true scrub and not a soap. If you want more of a soap consistency, then you can add more soap. This would also be great as a gardener's hand scrub too. I have a very fun giveaway for my readers! One winner will receive a cruise vacation package valued at $4,000! Five winners will also receive a Nautica Men's Fragrance Gift Package. Must be 18 or older to win. 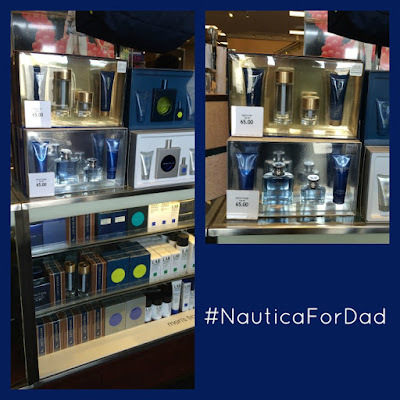 Nautica for Dad Who is the anchor in your life? How are you celebrating this year?